Have you ever lost your enthusiasm to the point where you didn't feel like doing what you know will make you more successful? Do you fear the good life will pass you by if you don't start taking action? Would you like to discover and get more in touch with your dream so you can live the life you really want? Are you tired of compromising and finally ready to do whatever it takes to make it happen? ● How to discover, focus on, and fuel your dream to make it come true. so you can do the seemingly impossible. other resources to achieve your goals. ● 27 tips for staying fired up as you work toward your dream. Inside of you is the fire of life. That fire is your passion, your life purpose, your mission, and your fulfillment. When you are fired up, you feel strong, vibrantly alive and courageous. You believe you can overcome any obstacle and win. And with that you can have more happiness and success than you ever imagined. It all starts inside of you, with your fire and your dreams. The time to live the life of your dreams is now. Get fired up! 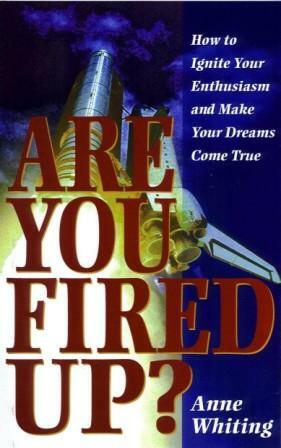 Discover the methods of the super successful in this book, make your dreams come true, and get more fired up than ever!